BOOK sells at Fully Booked for P295. It’s the one book that ought to have many more volumes to follow it up. For a country where tales of corruption abound, a movement for clean governance has put together stories of what remains “the exception” in the nation’s political scene: good news in governance. Good governance movement Kaya Natin! recently launched its first book, a quick 76-page read that puts together stories behind 10 of the country’s better known political reformists, including Interior Secretary Jesse Robredo, former governors Grace Padaca (Isabela) and Ed Panlilio (Pampanga). Kaya Natin! lead convenor Harvey Keh is calling on corporate foundations to help the organization bring the book to public high schools nationwide. “We’d like corporate foundations to sponsor the book so we could bring them to public schools. They could buy the book then donate them to schools,” he says. Titled “The Kaya Natin! Champions,” the book hopes to spread the good governance ministry around the country and inspire others to take on the advocacy. 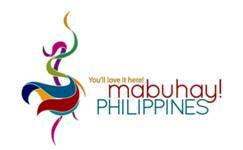 The publication also aims to gather more funds to sustain the Kaya Natin! caravan, which brings its champions to schools around the country for talks with students and young leaders. “We feel like by putting it in a book, we can reach out to more. It’s sad that when you talk about government, people would say it’s corrupt, it’s about people working for their own keep. But in this book, we want to show people that there are really genuine public servants,” says Keh. 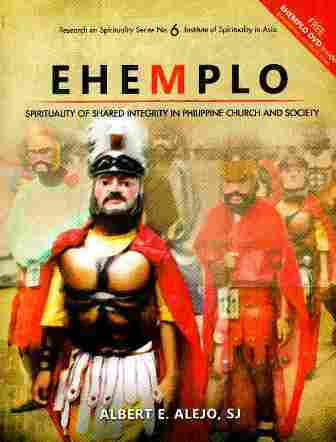 The book debuts amid a critical phase in Philippine politics. Standing on an anticorruption platform, President Aquino is now leading a crusade to bring to justice sinners from the past administration, including the alleged principal, former president Gloria M. Arroyo. “If we don’t bring these stories to life, this (good governance) will remain to be the exception instead of the rule. We want to come to a point when the good, the proper, the rightful become the ordinary instead of the exceptional,” Robredo tells the Inquirer. Other Kaya Natin! champions Senator Teofisto “TG” Guingona III, Quezon City Representative Jorge Banal Jr., and former San Isidro, Nueva Ecija Mayor Sonia Lorenzo turned up for Friday’s launch at Fully Booked on Bonifacio High Street, Taguig City. Now experiencing first hand the challenge of overcoming a “systemic” problem, Guingona calls the movement “a sanctuary” for reform politicians. “The biggest challenge is not to turn. Sometimes, because the forces that are asking you to turn back are still there and very, very strong, it can get frustrating. And you need a source of inspiration, a group of peers of common believers, who can motivate and inspire you and tell you that you can do it,” says Guingona. Giving a face to good governance, as Senator Francis Pangilinan puts it, is key in helping the public understand what is otherwise “an abstract term.” And with organizations like Kaya Natin! filling such need, the goal of bringing governance into the mainstream has become more attainable. “You now have a new generation of public leaders who are vision-driven, results-oriented. And the key is to get them organized, to build a critical mass so that what is now a sub-culture of good governance—and you still have the dominant culture of mis-governance—will eventually become the rule rather than the exception,” Pangilinan tells the Inquirer. Padaca is already looking forward to future volumes of the Kaya Natin! book, even teasing her friends in the movement about interesting follow-ups. “Let’s wait for the next chapter. Take note, this first book does not even include love teams that developed in the three years of Kaya Natin!,” jokes Padaca in her remarks at the launch, prompting laughter among her audience. Published by the Ateneo de Manila University Press, the Kaya Natin! book sells at Fully Booked for P295. ­­­Curbing Corruption in Asian Countries: An Impossible Dream? This comprehensive and detailed study, based on teaching a course at the National University of Singapore for several years, is the work of a scholar who has labored for some thirty-five years on the subject of corruption in which angels have feared to tread and where access to information has been handicapped by social taboos. No country likes to have its dirty washing exposed or to be faulted for failing to contain and diminish its wrongdoing. No public leaders want to be accused of aiding and abetting corrupt practices or to be soft on those with dirty hands. Nobody likes to be revealed as joyfully participating in activities that contradict community values and ideals and having no sense of shame or guilt in doing so. What can be the purpose or the motivation for so doing? What is behind what amounts to scandal-mongering? Such research cannot be up to any good and must be discouraged. Such whistle-blowing can only rock an already unstable boat or worse still threaten to upset the apple cart altogether. Not so, said a small band of resolute researchers like Jon Quah who defiantly set out to show that corruption is a timeless universal phenomenon that can be studied scientifically and objectively to reveal its causes, forms, and possible cures. Unless it is, there could be little progress in containing corrupt practices and overcoming public misconduct. 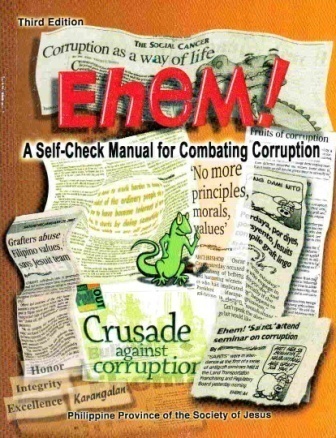 This book proves how successful Jon Quah has been in the case of ten carefully selected countries in Asia representing three major patterns of corruption control: (1) anti-corruption laws without any enforcing agency (Japan), (2) anti-corruption laws with multiple enforcement agencies (India, The Philippines, and Taiwan), and (3) anti-corruption laws with a single enforcing agency (Hong Kong and Singapore being successful in minimizing their corruption while Thailand, South Korea, Indonesia, and Mongolia have not). This sorry pattern of failure is attributable to the lack of political will to curb corruption, an unfavorable public policy context, and reliance on ineffective anti-corruption measures. To support his contentions, Jon Quah, as the thorough craftsman that he is, has seemingly mined every piece of public information he could find about corruption in these ten countries and placed all within an encyclopedic framework for each. That framework encompasses an opening illustration of a major scandal, the policy context, perceived extent of corruption, leading causes of corruption (such as low public salaries, opportunities for corruption and red tape, low probability or risk of detection and punishment, societal tolerance and cultural support of corruption, lack of political will, and some unique special local features), a description and an evaluation of the anti-corruption measures in place, and a short summary of the evidence amassed. As bookend chapters there is a general introductory chapter to the universal problem of corruption, its current booming industry, the difficulties of a definitive definition, and the problems encountered in researching corruption. At the other end is a final chapter of comparative analysis moving toward identifying key ingredients for a more effective anti-corruption strategy and pointing out the prospects for curbing corruption ranging from hopeful to unlikely. The whole is topped off with 40 pages of references in small print, nearly a thousand including 37 of Quah’s previously published items. Altogether, this book is a fine achievement that brings together in one volume the accumulating wisdom of what is to be known about this socio-pathology of contemporary global society that for too long has been overlooked clearly demonstrating the failure of people to live up to their avowed values and ideals. It will stand out not only as a benchmark for further research but also constitute a handbook for current and future reformers who do want to minimize corrupt practices and who have the moral courage to take a stand against the curse of official wrongdoing. They will find in it extensive coverage of anti-corruption measures adopted in these ten countries, the organizations empowered to implement those measures, the experience that these authorities have encountered, an assessment of their performance, and an explanation of what has likely gone right or wrong. Inevitably in an exhaustive collection, there is much that is already known and much that readily outdates in this fast moving world. And given its size, there are bound to be questioning here and there of some of the details and the opinions expressed and whether or not the author has been blind-sided, failed to dig deep enough, and taken the published record too much as gospel proof. Jon Quah has done the best he could in the circumstances. When dealing with such a controversial subject whatever is written is likely to be picked apart by those who claim to know better or the real inside story and is going to be attacked by those who feel they have been falsely besmirched and tainted. To those who know him, Jon Quah is a serious scholar and no scandal monger, being careful, methodical, sensitive, and unassuming. He is no seeker after publicity. The most dangerous ground that Jon Quah treads is when he goes beyond the facts to relate the social dynamics behind them. He set himself the modest task of accounting for the different levels of corruption in Asian countries and seeks to answer some simple enough questions. Why is corruption a serious problem in some countries but not in others, even when bordering one another? Why have some been able to minimize their corruption while in others it is rife? Similarly, is minimizing corruption attainable or an impossible dream? Are countries fooling only themselves when they select their information and blind themselves to reality? Why is corruption prevalent at certain levels of governance but not others? Why do different forms of corruption prevail in some countries but not in others? Why do the same people accept certain types of corruption but condemn others? Why do they willingly participate in corrupt activities when they know instinctively that what they do is immoral? Investigaton is like peeling away different skins of an onion when getting to unravel one layer just leads to another more intractable mystery. The process of stripping away ignorance involves uncovering secrets that societies would rather confine to themselves. In this case of corruption, nobody likes to have the muck spread around causing unnecessary embarrassment and distress. Inevitably, the blame shifts from the blameworthy onto the messenger if only to discourage further disclosure. Jon Quah would claim that he is only reporting the facts. He is not revealing anything that is not already known. It is common knowledge in all the countries he has selected and applicable to other Asian countries and elsewhere around the globe too. That they do not want them broadcast to outsiders is their business but until they level with themselves, they are not going to make much progress in combating their corruption which in some form or level is ubiquitous. In the absence of remedial action, corruption only breeds more corruption and compounds its distressing impacts on its innocent victims. Contrary to popular belief, It is not a victimless crime as everybody suffers whether they are aware of it or not. What is refreshing about Jon Quah’s contribution is that he goes where the facts have taken him and that is into the unsavory territory of imperialism, autocracy, rapacious kleptocracy, greedy plutocracy, ruthless organized crime, unworthy officials, sordid conspiracies, lawlessness, blatant discrimination, inequality, fraud, waste, incompetence, and bureaupathologies, i.e. the bad side of people, organizations, communities, governance, countries, and the global society. With his soft touch, he may be accused of pulling punches and stopping short but he does give follow-up references for those readers who wish to delve deeper into the sordidness and dysfunctions of corruption. What comes out clearly in this comparative study is how different one country is from another such that generalization is extremely difficult. It is said of the United States that all politics is local. That is probably true everywhere else too, not just at country level but down to the smallest community. This means that the larger the society, the more fragmented and diversified it is. As the book points out, there is no common Asian corruption, certainly none in the largest populated counties where one part may be quite different from another. Even in the same locality, different values and ideals may be held and hence different attitudes to right and wrong may co-exist uneasily. Determined leadership can go so far to hold people together and get them to conduct themselves as it sees fit with the most suitable incentives and punishments likely to work. Although differences of view are likely to be overridden by a collective consensus on how things ought to be done, unanimity is impossible. There will always be individual deviants who eschew conformity. Leaders and followers may see eye to eye on most things of importance or there can be wide gaps between the isolated power elite and the masses in a complicated game to outwit one another. But then again the elite can be split and different parts of the masses can follow their separate drummers. The reality can be readily known in open societies but hidden in closed societies. As Jon Quah observes, it all depends on the context, the actors, and the time. Simple answers are beguiling but the truth is much more complex and puzzling to discern and sometimes truth is indeed stranger than fiction being hardly believable that the corrupt could believe that they could get away with their nefarious deeds. For Jon Quah, the evidence is all there if one cares to search. If readers have no time to search, he provides a short summary at the end of each country case study that highlights what needs to be known. This is probably the most refreshing and insightful contribution of the book. He tries to tie all the different elements into one knot demonstrating that culture counts at national level and that integrity and character truly count at local level. For example, gift giving is a feature of reciprocity in social relations, as a means of showing respect, as evidence of good will, as a way of getting better treatment or something of mutual benefit, certainly not harming anybody else. It is perfectly acceptable until it disguises bribery for unfair consideration, special access and favors, undeserved treatment, evasion of the law and regulations, pampering one’s superiors, and personal enrichment, when it crosses over an unmarked but understood line into unacceptable conduct. In Singapore but not in Taiwan, Guanxi is outlawed and anyone found guilty faces the harsh consequences. In contrast, as in Thailand, Indonesia, and Mongolia, where anything goes that advances the interests of oneself and family, promotes one into a privileged elite, enables one to share one’s booty, acknowledges those who make a fortune through dubious means, provides debts of gratitude, and solidifies the elite, it is a way of life dividing the haves from the have-nots. In Japan, it is part and parcel of structural corruption (kozo oshoku), of the black mist that governs politics in the private not public interest, of the collusion between the rotten triangle of officialdom, business (both legal and illegal), and politicians, of revolving door practices (umakudari or descent by parachute and amakudari or descent from heaven), of kansei-dango or bureaucratic bid-rigging, of the lack of financial transparency, of lavish entertainments, and of the penetration of the yakuza (organized criminals) into governance, which results in corruption within the elite but much less so without. In tolerant India, bribery is a way of life. It seems as though every service comes at a price and everyone is on the take, which is not the case, as much depends on the locality from the gross to the puritanical. In The Philippines it is also accepted, being bound up with family obligations, the accepted use of intermediaries to deal with authority (compadre or kinship and other close ties), and debts of gratitude (utang na loob) for favors rendered, all of which entrench networks, nepotism, speed money, indebtedness to authority, and the privatization of public values. The obvious conclusion is that in some circles, gift giving is perfectly harmless and a comforting custom but in other circles it is divisive with sinister implications for the whole society not just for those who do not indulge for those who cannot or do not give gifts and do not accept them. But who can tell the real motivation behind the practice? There are gems like this scattered throughout the book. They illustrate that corruption is very much an outcome of culture, the belief system preached in every locality by parents, teachers, peer groups, community leaders, religious figures, military commanders, mass media, strangers, foreigners, whoever individuals care to heed at some point in their lives. Personal opinions and conduct change with one’s circumstances. One may have no choice but to follow the herd or obey the dictates of authority which is the path of least resistance for the sake of a peaceful life. Alternatively, one may choose a path of altruism and public service or decide on a different course, one where self-interest comes first, pursues one’s ambition, seeks self-aggrandizement, and compromises one’s integrity to become a celebrity, unmindful of the public interest as long as one succeeds in one’s personal mission. Best of all is where one can combine the public interest with personal success. As Jon Quah mostly sticks to the traditional definition of corruption as exploiting public office for private gain as do most researchers, the book downplays the more fundamental issues of what to do about sleaze in the private sector, the distortion of democratic precepts, class distinctions, religious disputes, the subjugation of basic human rights, the institutionalization of evil, and the acceptance of corrupt practices when the survival, security, and safety of a society are at stake and justified ideologically. What he does cover should satisfy most palates and deserves a wider audience than is likely unless it is reproduced in some other form than its current expensive hardback edition. As it is, the book is a worthy achievement of which the author and the publisher can be proud. This book discusses outright corruption as well as more subtle conflict-of-interest situations that confront journalists and news executives. It is our hope that by bringing these problems out into the open, the media, the public, and the politicians can take steps to do something about them. The nine-year presidential reign of Gloria Macapagal-Arroyo is a depressing litany of major infrastructure and other projects and agencies that ran into trouble because of political interference, corruption and or bad planning, and missed opportunities to move in the right direction. None of the scandals are new to the Philippines energetic press. But they are outlined in considerable detail in a new 130-page investigation called Seven Deadly Deals from Newsbreak, a Manila-based team of reporters and editors, and made public earlier this week. 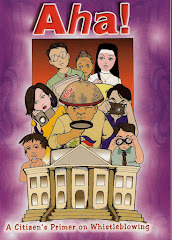 The eight journalists involved in the project devote a full chapter to each of the seven episodes...to be available in Philippine bookstores at the end of December, and through the electronic book sales portal http://www.fullybookedonline.com of the Manila bookstore Fully Booked at a cost of Php300 (US$6.85). The seven examples include the stalled construction of the North Luzon Railway; the long impasse over a third terminal at Manila’s international airport; the failure to upgrade the Metro Rail Transit Line in Manila; the stalled Subic Bay-Clark-Tarlac Expressway; the Farm Credit Agency; the decision to divide up the country’s biggest gold mining area between small-scale miners, big companies and indigenous communities; and the country’s messy defense procurement practices. Published by Newsbreak and written by Marites Danguilan Vitug, Shadow of Doubt: Probing the Supreme Court is a first of its kind in the Philippines. Shadow of Doubt will give the readers a glimpse of the inner workings of the Supreme Court, the least visible branch of government. New book by the nongovernmental organization, Partnership for Governance Reform. It features theological studies by both the Nahdlatul Ulama and Muhammadiyah Indonesia’s two main Muslim organizations. 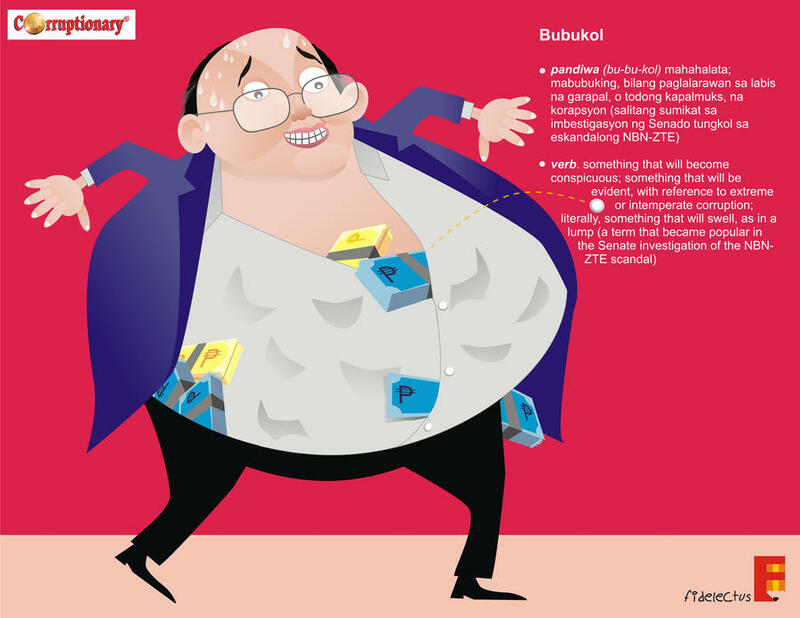 Abdul Malik Gismar, the NGO’s chief researcher for the book, said that in Indonesian society today, there were virtually no psychological and social consequences against corruption. “We need to reorientate society’s value and place corruption as not only illegal but also immoral. Corruptors have acted shamelessly by swindling people’s money as if they have no responsibility at all,” Gismar said. AHA? provides a set of tools for whistleblowers in the Philippines. Adtual experiences shared in a series of focussed group discussions were reflected on, from which a clearer picture was drawn regarding the critical roles and functions of whistleblowers, and the support they will need from both the spiritual and secular spheres. Kakistocracy: rule of the unqualified, the unprincipled and the unethical. 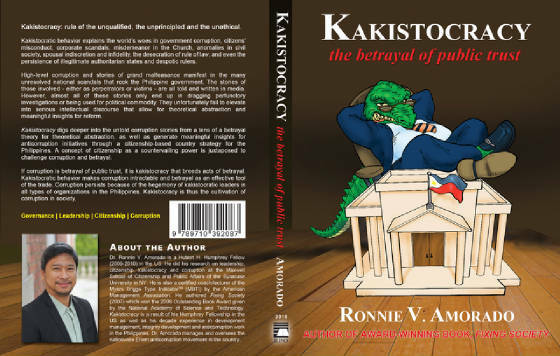 Kakistocratic behavior explains the world’s woes in government corruption, citizens’ misconduct, corporate scandals, misdemeanour in the Church, anomalies in civil society, spousal indiscretion and infidelity, the desecration of rule of law, and even the persistence of illegitimate authoritarian states and despotic rulers. If corruption is betrayal of public trust, it is kakistocracy that breeds acts of betrayal. Kakistocracy is thus the cultivation of corruption in society. MANY Filipinos would find it hard to find a Tagalog word for “honest.” Matapat, the oft-cited word, comes closer to the English word “faithful.” Malinis is clean, which could refer to many other things. The debate goes on. 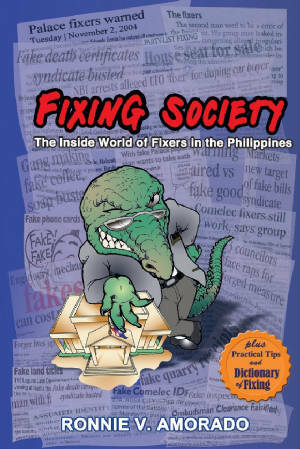 They would find it easy, however, to come up with local equivalents for the word “corrupt.” In the book, “Corruptionary: Natatanging diksyonaryo ng mga salitang korapsyon,” the authors found not one or just a few but 450 words that mean or are related to the word. The origins of the expressions, however, are not government alone but mass media as well. Corrupt practices, after all, abound not just in the bureaucracy and officialdom that journalists like to criticize but in their own industry as well. 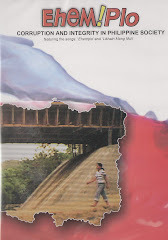 The book is the result of a project by political science students from the University of the Philippines-Manila who were taking part in a Volunteers Integration Program at the Center for People Empowerment and Governance (CenPEG) in 2006 and 2007. What began as 100 words easily increased four-fold. Each word or phrase has a definition, the origin of its acquired meaning, and an example of its usage. For the benefit of the non-Tagalog speaker, there is also a guide to pronunciation.